Manufacturing in a small rural village in Derbyshire is not your typical setting for a business success story but Parry Catering Equipment in Draycott is proud to be the exception to this rule. A partnership with 3M enabling it to provide catering solutions with customised vinyl wrapping is allowing the company to differentiate and meet the unique concepts of customers, as FEJ finds out. 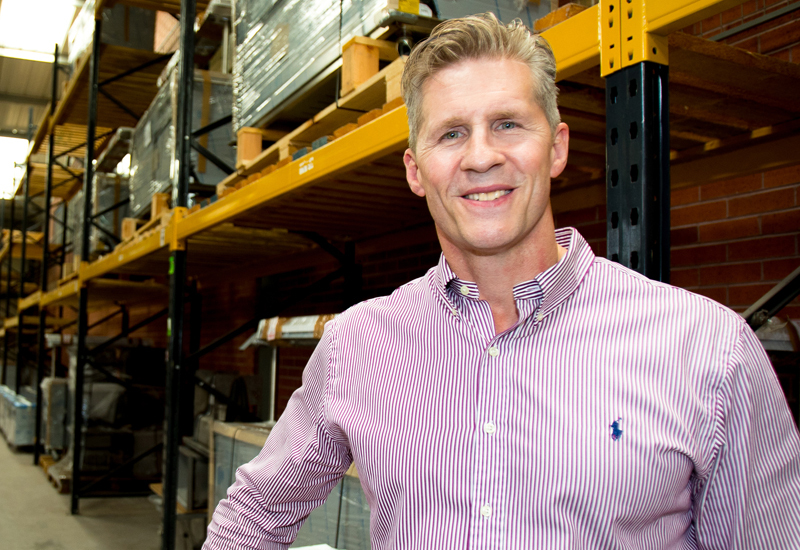 Since a change in ownership and leadership two years ago, Parry Catering Equipment has gone from strength to strength, growing to 70 local skilled employees and introducing world-class manufacturing and controlled continuous improvements. It is now ideally placed to serve the ever-changing needs of the market while also attracting the attention of major global corporations. The latest chapter in the Parry story is its collaboration with global manufacturing company 3M to become the UK’s first catering original equipment manufacturer (OEM) to use 3M DI-NOC architectural finishes. These 3M surface finish products are used as part of Parry’s manufacturing process to differentiate and add value to its products. The key catalyst for the business change was the vision of managing director, Mark Banton. 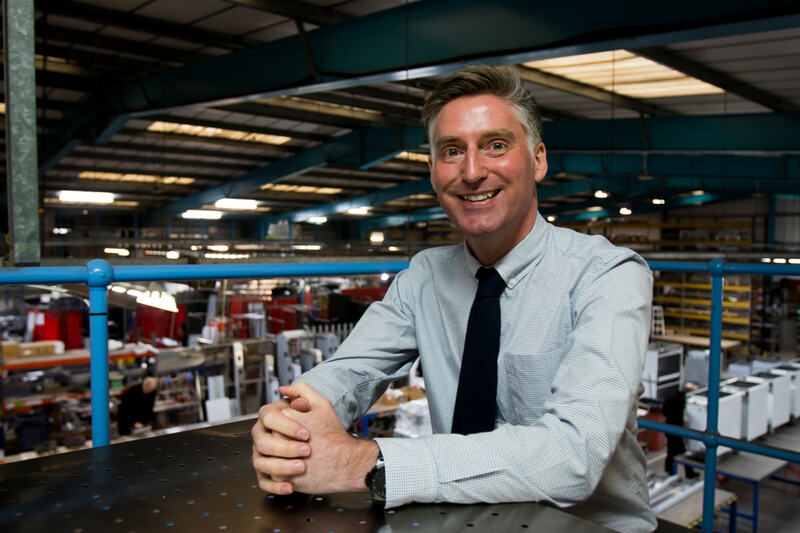 Banton’s career spans over 35 years, formerly in the public sector for British Coal and latterly in the private sector for blue chip companies working in the aerospace industry. This is where he developed his key skills and techniques in engineering, manufacturing, business management and business turnaround. It was late 2016 when the opportunity to acquire the Parry business arose. Upon completion of the purchase, Banton immediately implemented an improvement strategy to transform the business into a world-class manufacturer, adopting the recognised industry measures and utilising the principles of lean manufacturing and controlled continuous improvement. The success of this can be seen through Parry’s delivery OTIF (on time in full) performance of 98.5%+. The next step of his business transformation plan for Parry was differentiation in a crowded market place — it was essential that Parry offered some level of differentiation in its product offering and service. 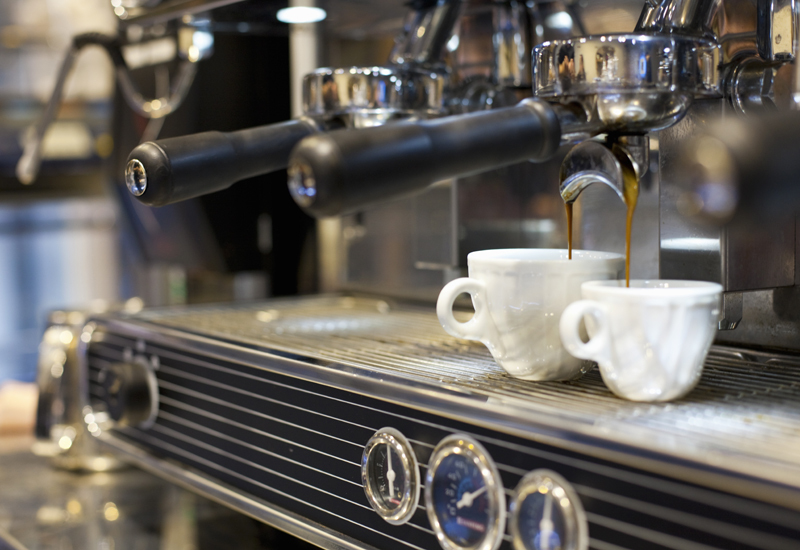 Recognising the changing needs of the industry and the fact that front-of-house and mobile catering equipment needed to blend in with their surroundings to enhance the customer experience, he set up a project team to investigate alternative finishes. The team explored a number of finishes including paint, Plasti-dip and traditional vinyl wrap but all these finishes were dismissed. 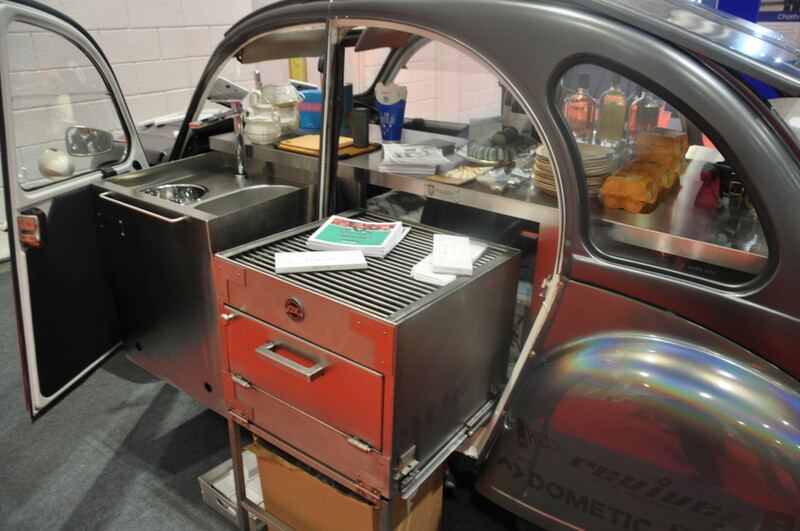 Banton had worked with 3M in the past and latterly on a custom-fabricated project where they transformed a road legal car into a mobile kitchen which starred at the 2018 London Motor Show. It was obvious for him to approach the market leaders in vinyl wrap products, hence he approached 3M to look for a solution, which is how the collaboration started. As both 3M and Parry share the same business ethos of innovation, superior quality and environmental responsibility, the project set-up and product development phase went quickly and smoothly allowing Parry to get its DI-NOC finishes-applied product range to market with upmost efficiency. 3M has conducted extensive testing for abrasion, adhesion and staining to make sure its products suit the most demanding environments. DI-NOC finishes was developed in the 1960s in the USA for wood panelling on the side of cars. 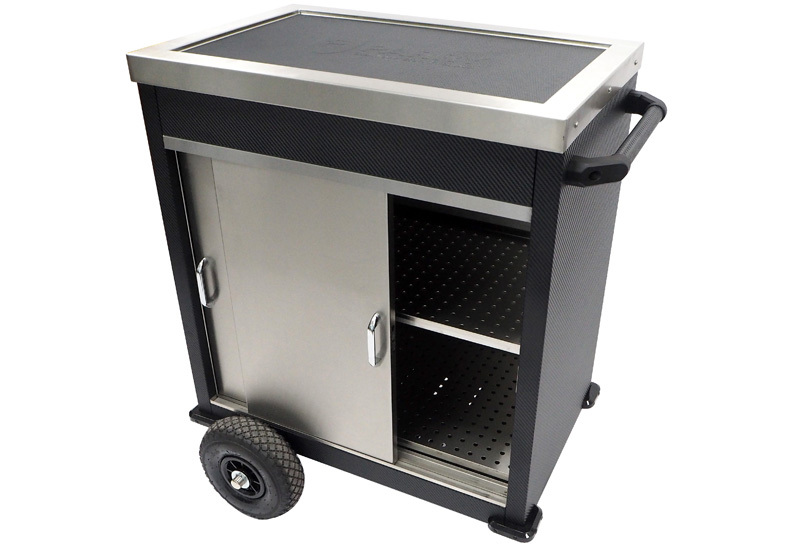 Needing to adhere to metal and being very durable, it made it the perfect choice for Parry and its stainless steel products. DI-NOC finishes were also chosen for its texture; whether the finish is wooden, metallic or carbon fibre, each have their own authentic feel, bringing another dimension to the products. Parry has integrated DI-NOC finishes into its manufacturing processes, applying it at the point of manufacture for a perfect fit. 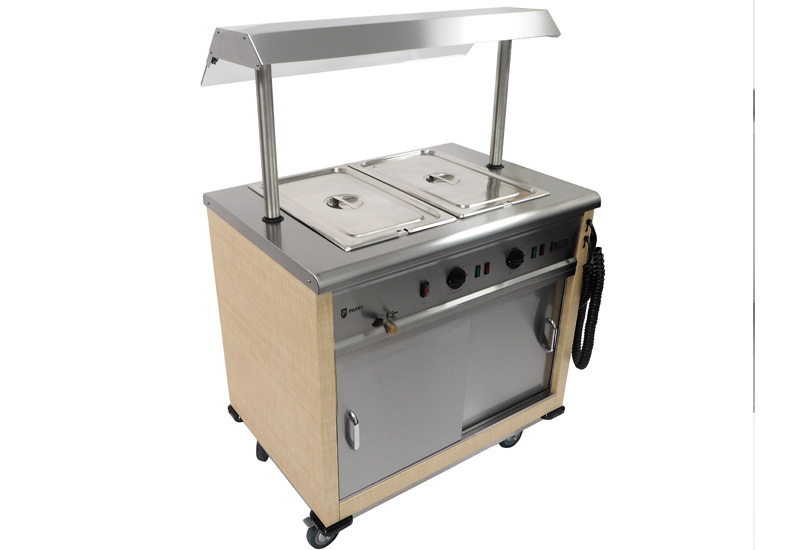 Not only does it allow the product to retain the functionality of stainless steel, but it also enables the product to fit the exact interior design concepts of its customers. Parry has selected nine of the most popular styles of DI-NOC finishes to go onto 85 of its top-selling catering products, offering nearly 800 colour permutations. However, Parry has access to the full range of over 1,000 DI-NOC finishes so every taste can be catered for. With the increasing emphasis on brand communication, Parry has also worked with a 3M DI-NOC architectural finishes-endorsed trainer to develop a fully printed wrap solution so its customers can have any colour, graphic or logo applied to their catering products. Recognising the needs of the marketplace, Parry has also developed its own financing proposition with Tower Leasing. Aware that customers need to spread the cost of equipment purchases, this enables Parry’s customers to manage their cash flow while also investing in equipment to improve their reliability and efficiency. Parry’s finance offering is available over two, three or four years, subject to credit worthiness. 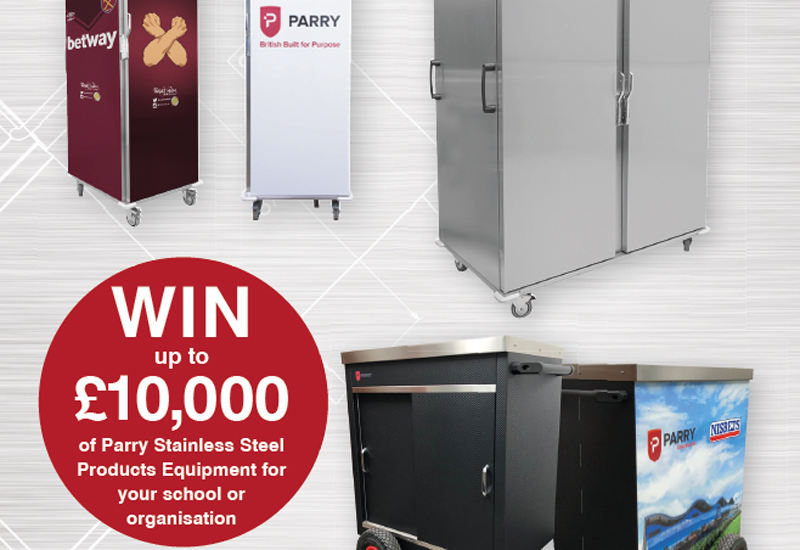 It is safe to say that Parry can now be considered one of Britain’s leading producers of stainless steel products and the whole operation now is based around minimisation of waste and maximisation of productivity across standard and bespoke products. Parry has since attained the status of a carbon neutral business, a credential which is highly valued in the new Parry and brings Parry ahead of the curve of government targets for carbon neutrality in 2021. Banton has a clear path for Parry as the company continues to innovate and expand, creating new products, forging new partnerships and developing new markets that will benefit from its tailored solutions. OPINION: Are you giving your equipment the best chance of performing consistently?